The FLAG Committee will be publishing draft minutes of their meetings on this website. Please bear in mind that the content is only draft until the minutes are agreed at the following meeting. Click here for easier to read PDF document of full presentation. 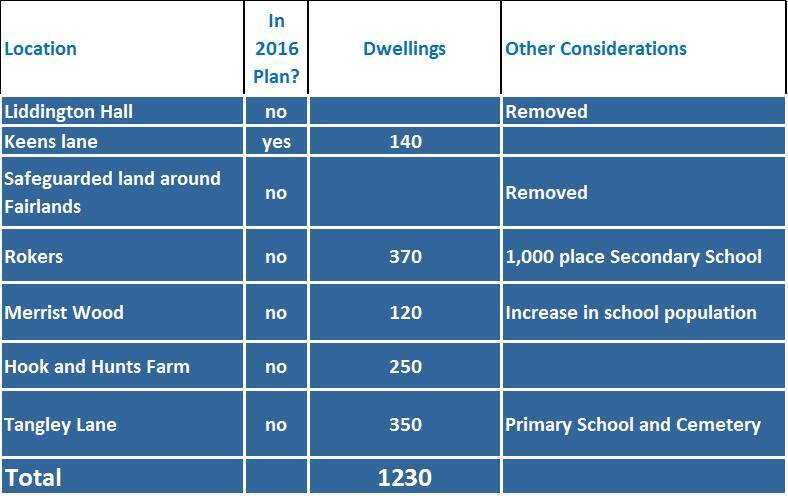 350 dwellings (in addition to 140 for Site 61 in the July 2014 Draft Local Plan). Note this is re-included in the 2016 version as A22. 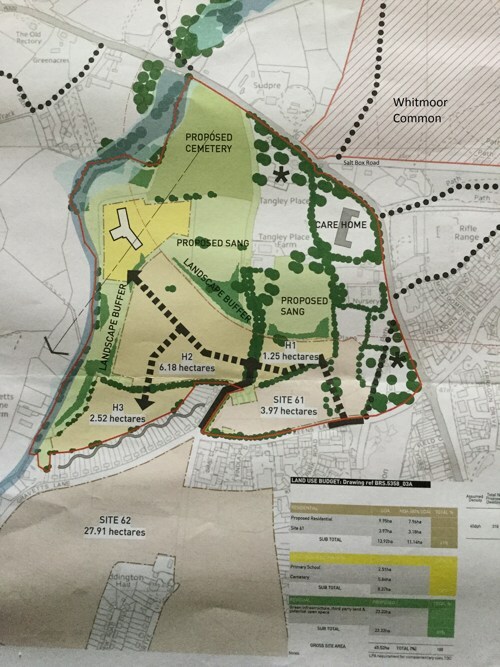 The development is so close to Whitmoor Common and, in spite of any sculptured areas within the development will increase the footfall on the common, which is a protected area. 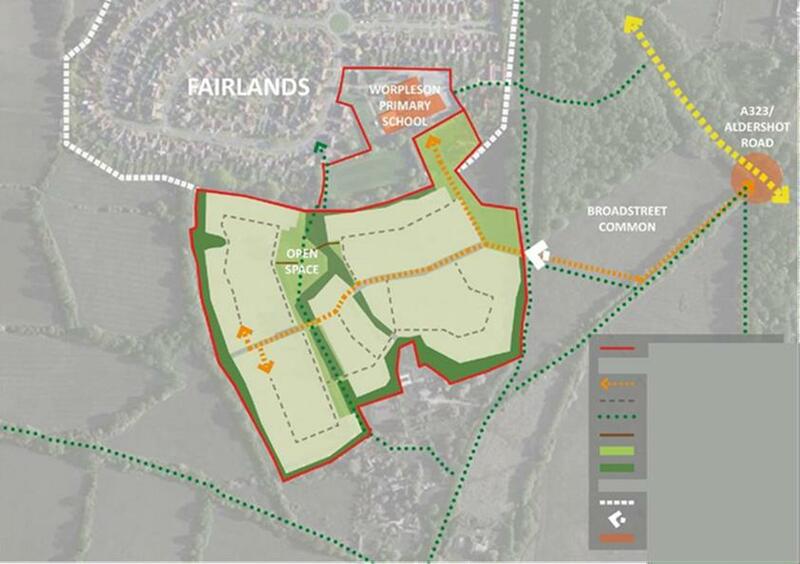 Proposal offering a road across common land to alleviate traffic problems at school time. The proposal also includes 250 dwellings. This land is in the Green Belt and forms part of a valuable barrier between Fairlands and the edge of Guildford urban sprawl. Giving up this land brings the edge of Guildford closer. Traffic congestion in the area was one of the main reasons for the rejection, by the planning inspectorate, of a development at Liddington Hall. An additional 250 homes will add 400 more cars to the area. With 220 dwellings tightly packed in there will not be room for parents to park to pick up their children without blocking drives. Parents will still park in "Old Fairlands". Existing houses will be overlooked in Envis Way. Once planning permission is granted and the site sold on, a new developer could buy two properties in Envis Way and apply to join up the developments. This will cause a rat run and old parking issues will return. 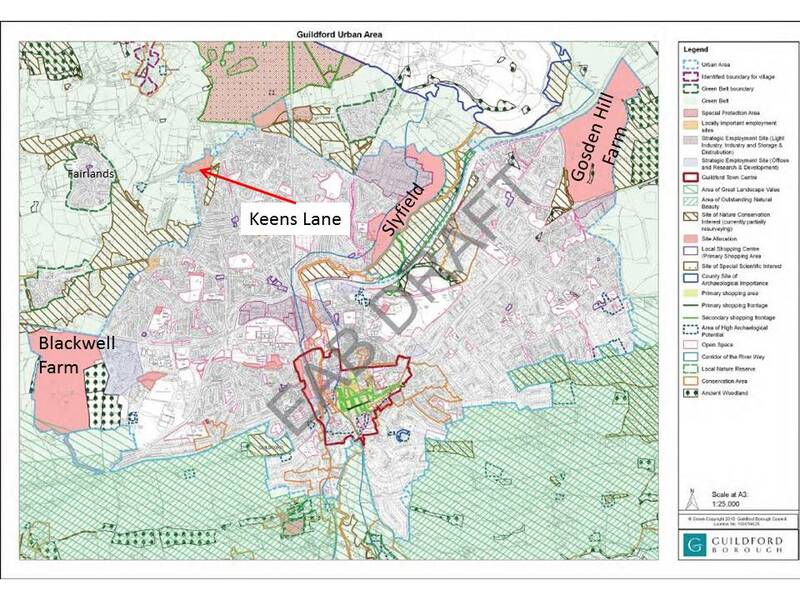 The main road shown on the plan could link into theneighbouring farms could releasing them for development as they are currently land locked. Once the Green Belt is breached it will set a precedent, making it easier for surrounding farms to fall to development. Again, any guarantee given by these developers can be overturned if the land is sold on. A road would have to be constructed across Broad Street Common. A number of parents will still pick up their children from Old Fairlands as this will be more convenient for them. Parents will not drive past the Fairlands entrance to use the Hook/Hunts Farm entrance. The owners of our Newsagent, Post Office and Hairdressers, have told FLAG they may have to close if they lose the passing trade from the school traffic. As you are already aware we already have problems with Water, Drains Electricity and Sewage. These will become a lot worse if Hunts and Hook Farms are developed. There will have to be a new junction constructed on the Aldershot Road, this will increase the congestion in the area easily backing up to Holly Lane.